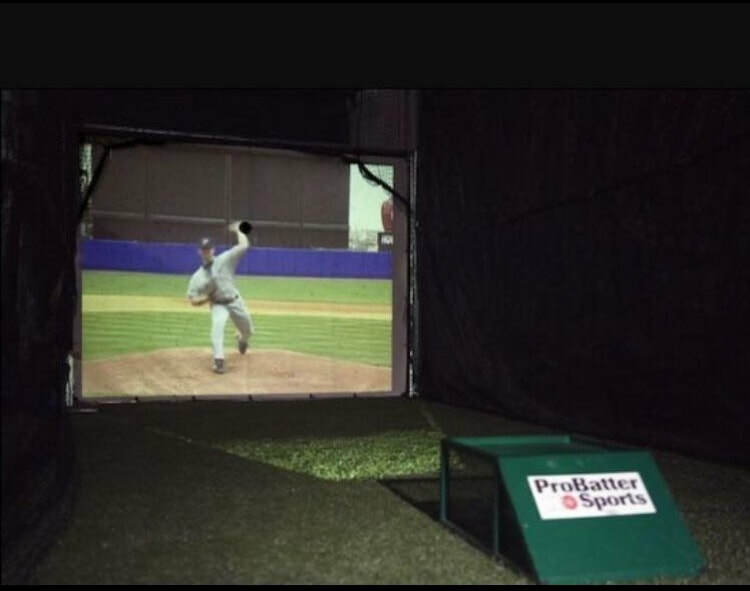 Thomas Hitting Academy is proud to be the East Texas home of The ProBatter Baseball Video Simulator, the premier video pitching simulator in the world for baseball. Two separate cages containing a video front of an actual picture, it delivers Major League quality pitches at speeds between 47 and 70 MPH. Batters see the pitcher's release point from both the windup and set positions, thus maintaining a seamless real-world baseball experience. Both left-handed and right-handed pitchers are available in the simulation. Come by Thomas Hitting Academy or book your time online to give this unique training experience a try. You'll love it! All participants must complete the participation waiver form. ​You can email waiver to thomasp24@cs.com to save more time. 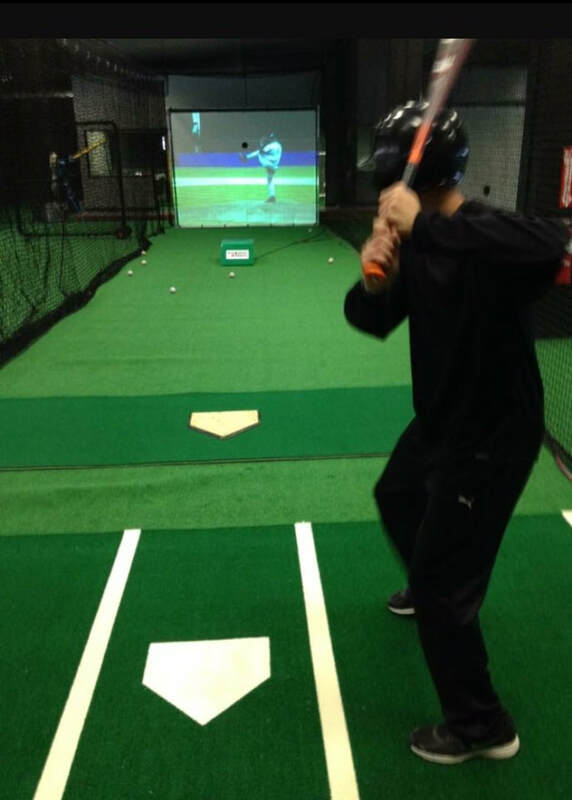 The Pro-Batter Baseball Video Simulator brings real-world batting experience indoors. 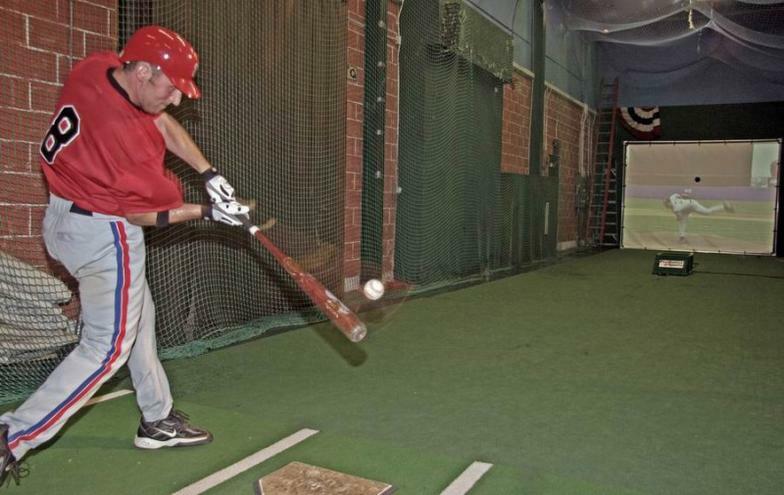 It's just like hitting off of live pitching, and will help your batter with timing and hitting a wide variety of pitch types.